Click to preview the St. Johns model at Cedarbrook in Oceanway. option and Seller Paid Closing Costs. Preview the Wekiva II and learn more about owning this highly energy efficient new home. Cedarbrook is a master planned community that brings the TerraWise Net-Zero Energy concept to the Oceanway area. The location combines the convenience of nearby schools and parks, excellent shopping and quick commute to downtown Jacksonville and the airport. Convenient access to I-295 and I-95 make it easy to get almost anywhere in Northeast Florida. 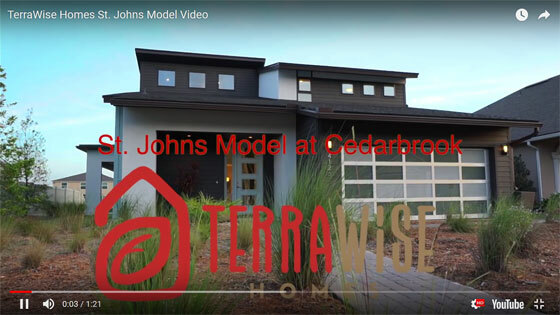 Watch the St. Johns Model Home video walkthrough video. Cedarbrook is your Net Zero Energy Efficient new home community in Oceanway. Preview floor plans and find available homes in Cedarbrook. 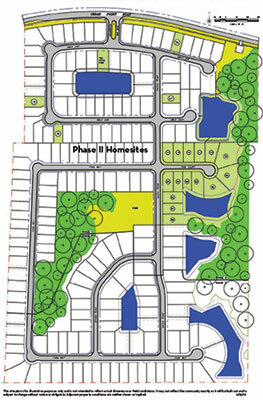 Click the image to view the PDF of the Cedarbrook Site Plan. Visit the Cedarbrook model and sales center at 4126 Emilio Lane, located a mile east of New Berlin Elementary School. Model open daily 10:30am to 5:00pm and Sundays 12:30 to 5:00pm. Call the Cedarbrook Sales Agent at 904-349-8628.